Hayley: First of all, congratulations on being commissioned on Law&Order:UK (ITV) and on Ripper Street (BBC) this year. Can I take you back and ask what was the first spec you wrote and how did you know what to do next with it? Jamie: I was working at Really Useful Films and we’d optioned Michael Morpurgo’s book The Butterfly Lion. We had Richard Attenborough onboard to direct but the screenplay just wasn’t quite working. It looked like the project had derailed. I knew the direction we wanted to go in with it so I went to my boss and said, ‘give me 2 weeks off and I’ll write it.’ He agreed and I wrote a new draft. My boss liked it, the director liked it. Although the stars didn’t quite align for the project at that time, it was the script that crystalised in my mind that I wanted to be a writer. I knew that the script I wanted to write was what would become Bogland so as soon as I finished working at Really Useful Films I started researching and then writing Bogland, which was my first original script. I’ve redrafted it periodically since then but it’s still the spec that goes out as a writing sample. H: Before the Michael Morpurgo project had you been writing in your spare time but just not taking it seriously? J: Not really, I’d harboured ambitions to write but not really done much about it. H: Did you have notebooks full of ideas but just weren’t pursuing them? J:. Everyone’s got half baked ideas that you spew to your friends after a few drinks but I had never really put them into any kind of coherent pitch type documents or treatments. Developing ideas seriously only really came about subsequent to Bogland and getting an agent. H: How did you know who to send your spec script to? J: I didn’t have a clue is the short answer. So I did what most writers do; I got a list of the top 50 literary agencies and sent it to them all. 45 never responded at all, 5 wrote back saying thanks but no thanks. That’s a path well trodden by new writers. I guess what I learnt from it though is that nobody knows anything. So don’t take to heart the fact that 50 people didn’t like your script. So then I went round everyone I knew telling them I had a script and took up any offer from anyone to pass it to someone they knew. I did have one friend who said she knew an American producer, Neda Armian (Rachel Getting Married) who was just starting her own production company, did I want her to pass it on to her. I said yes, as I did to everyone who offered, but I didn’t expect anything to come of it. Then Neda called me from New York and said she was really interested in producing it. It’s all about little steps, momentum, something leading to something else. Neda got me some meetings in L.A and I signed with an L.A agent before I had a London agent. H: So you’ve got a London agent, an L.A agent and your spec script’s been optioned by an L.A Producer, how did writing for Holby City (BBC) come about as your next step? J: If you want to work in UK you either get lucky with your film script or you look towards tv. As it happens I think we’re in a golden age of tv and I think that there are great opportunities in UK tv. When I got an agent he quite rightly suggested we should look at tv but you’d have to be incredibly lucky to get any tv work from just a spec film script. He advised me to write a spec tv script – something that I was passionate about. So I wrote Obedience which is the first part of a four-part serial for television. That was the script that got me Holby City. H: Did you do a trial script for Holby City before getting the episode commission? J: Yes. I’d had a meeting with Simon Harper at Holby City after he’d read Bogland and he’d said I should send him a spec tv script. So after I’d written Obedience I sent it to him and he liked it and got me on the Holby City Shadow Scheme. I was really pleased that from that I did manage to secure an episode commission on the show – it was a real champagne moment. H: So you’ve had a second episode commission for Holby City and now you’ve been commissioned to write an episode of Ripper Street, is that right? J: Yes. Tiger Aspect had loved Bogland but I’m sure they wouldn’t have taken a risk on me without me having written an episode of something else. When I went in to meet the team, I made sure I’d watched the four episodes that had aired by then. 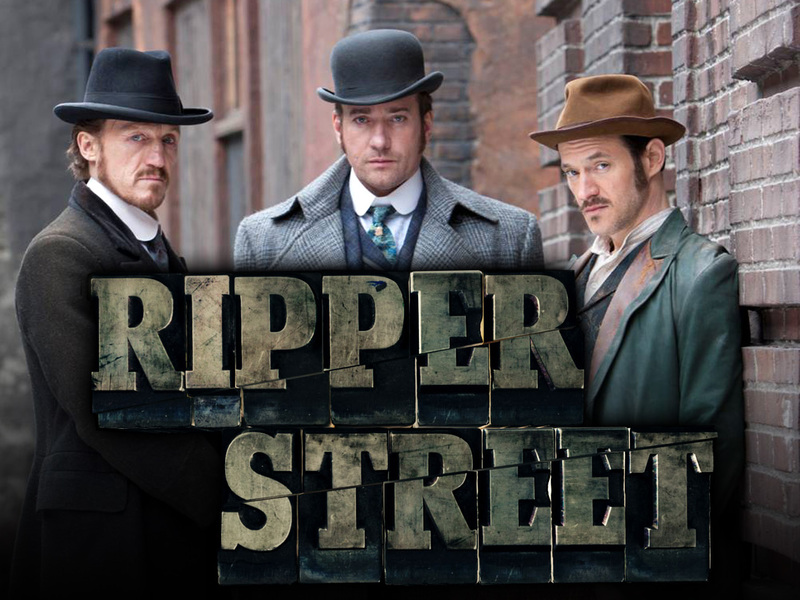 I had 3 pitches up my sleeve for episode ideas for a Ripper Street episode. I knew they liked Bogland and wanted to play to my strengths. Since it’s yet to air I can’t give away details of the episode but they liked my idea. They then got me back to pitch that episode in more detail a few days later so I had to do a lot more work very quickly. They liked it and they commissioned me to write that episode for the next series. H: So between Holby City and Ripper Street were you looking to try to move on from the continuing dramas to the shorter run series? J: Not consciously but after the first two Holby City episodes there was a sizeable gap before the next commission. It made me realise that I needed other gigs and couldn’t rely on Holby City to support me financially. I did another big wave of networking. You have to be quite media savvy as well. I did a lot of Twitter and LinkedIn networking and I’ve subsequently met a whole bunch of people who I contacted in that period. That’s all in addition to the work my agent was doing for me. The simple truth is that until you’re an established and respected tv writer you’re not going to be picking and choosing your next step – you’re taking the next opportunity that comes to you and doing the best job you can with it. H: Are you looking across the current tv landscape, finding shows you’d love to write for and figuring how to get on those shows? J: Yes to an extent. I think it’s good to do that. One of the commonest questions at general meetings is ‘what other shows do you watch, do you like?’ My mind always goes blank at that point so I’ve had to make a list of my favourite shows and I look at it before I go to meetings! Also if your agent says what do you think about x or y or z, you need to have an idea about what those shows are. H: At the same time are you still writing spec material? J: Not scripts right now, no, but I’ve been doing a lot of brushing up on my portfolio, my treatments. I’m starting to get interest in some of those ideas now. One has been optioned by Clerkenwell Films (Misfits) and I’m writing a bible for an idea I’ve sold to BBC Drama. Although a Treatment might only be 4-5 pages and might only hint at what’s to come it’s usually been distilled from a much more developed, much lengthier document. I’ve got about 12 projects in that early stage; roughly 4 films, 4 tv series, 4 tv serials. H: If you’re going in for a general meeting are you going ready to pitch all of those 12 or are you selecting a couple? J: It’s usually just a couple. I’ve got a bit better at that. I used to be a bit blanket with it which wasn’t great. Sometimes you’ll know what they’re looking for, like they’ll say they want ‘crime series’ which can help, but I’ve got more specialised about what I pitch to whom. But you have to do your research, know their output. H: It looks like in a couple of years, since writing one spec screenplay, you’ve had this meteoric rise. Your spec’s been optioned by a US producer, you’ve written for Holby City, then Ripper Street and now Law&Order:UK. Do you have ideas now about what you want to be doing in 5 years? J: It hasn’t felt meteoric! But yes I am thinking ahead. There’s always a clash of realism and idealism but fingers crossed the next writing project is one of my own original ideas. H: You seem quite focused on tv at the moment but are you tempted to go to script on spec with one of your film ideas because obviously the film script is an easier sell than the treatment. J: If I had another spec film script already written I would now be trying hard to get that made. Bogland is a tough sell and there’s a chance it might never get made but even if that’s the case it will have served its purpose. Your spec still has to be the project that you’re most passionate and excited about, not necessarily the most commercial idea. H: If you did have a big enough gap and wrote another film script on spec, would you choose a project that was an easier sell than Bogland? J: I don’t know. I remember after I’d had a week of stereotypical L.A meetings a few years back, (all hot air, ‘I can get Russell Crowe attached’ kind of thing) and most of them were saying ‘your next script – make it single male protagonist 35-45, box office friendly.’ Then my L.A agent said no, that’s the worst thing you can do. It probably won’t be any good because your heart and soul won’t be in it. Worse, if you get success with something like that you’ll be lost and miserable and people will expect you to keep writing that kind of thing. Obviously it’s a huge pressure for writers, figuring out how to get by. It’s a constant stress and unless you’ve got some other income I think you do have to have one eye on it. H: So, say I’m a writer with one completed script. I don’t know if it’s any good or what to do with it, what’s your advice? J: Write to agents, use any connections you have, use social media. Don’t discount any opportunities, any types of approaches. H: It’s about getting your work read as widely as possible to get interest? J: Exactly. You only need one person to like your script and believe in you. This entry was posted in Career, Craft, Feature Film, Screenwriter Interviews, Screenwriting, Television Drama and tagged agents, bbc, bogland, fay davies, film script, film spec, getting read, holby city, itv, jamie crichton, law&order, law&order:UK, literary agents, Michael Morpurgo, neda armian, rachel getting married, Really Useful Films, Richard Attenborough, ripper street, Russell Crowe, Screenwriting, spec scripts, television drama, the agency, tiger aspect. Bookmark the permalink.